Today German manufacturer Alphenfohn is unveiling the latest iteration of the Brocken CPU cooler series, the Brocken ECO Advanced. 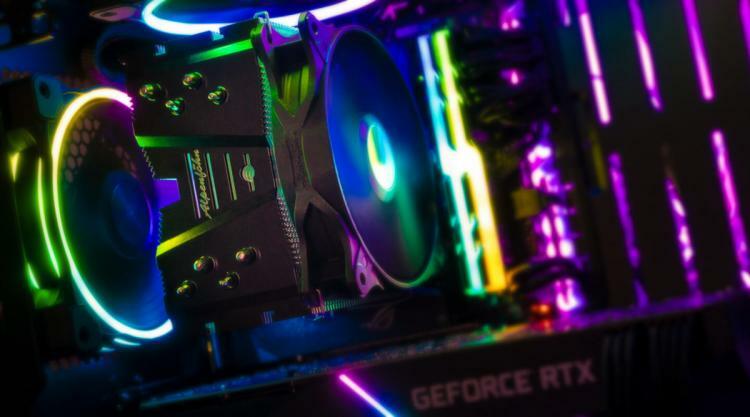 Boasting an asymmetrical profile that maximises compatibility, keeping both heatsink and fan away from other components such as tall RAM modules, it's designed to maximise compatibility with a wide range of motherboards, sockets and memory DIMMs. 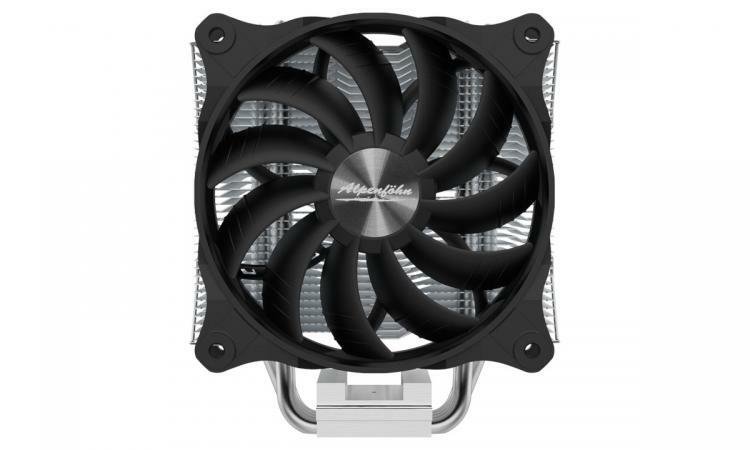 The Brocken ECO Advanced offers an overall increased cooler size and, thanks in part to a new high performance fan, gives cooling support for a TDP of 170 Watts. Overclockers will certainly welcome that sort of headroom to push their CPUs further. However, just as important is the noise level generated by the fan, an ultra-quiet 120mm WingBoost 3 fan of their own design. Featuring redesigned blades and a fixed guide, it increases air volume flow whilst reducing total noise output. The Brocken ECO Advanced 6mm heat pipes are embedded directly into the baseplate between the processor and cooler using Alpenföhn's Gapless H.D.T technology. A dual-fin stack tower design now has fins grouped in threes to increase its heat dissipation area, while excellent airflow characteristics allow its fan to operate at the lowest speeds possible. In profile, the Brocken ECO Advanced's asymmetrical design means it's not exactly centred above the end plate, but rather slightly offset to the rear. This offers increased motherboard compatibility and significantly reduces the chance of RAM slots being unusable due to tall heatspreader designs. The compact dimensions of the Brocken ECO Advanced makes it a great choice for smaller cases; a maximum height of 149mm means it can be accommodated within the vast majority of cases on the market. Alpenföhn includes an ultra-modern WingBoost 3-series fan which, thanks to the new angle of attack of the fan blades, offers a significantly higher volume flow, total pressure and exhaust speed all at the same time. The static pressure is significantly increased by a fixed integrated guide wheel in the fan frame, and this also contributes to a reduction in the turbulence in the air flowing away from it. The result is a further optimisation of the radial flow and a reduction in noise. There is also a PWM connection including a Y-splitter so that up to three additional PWM fans can be connected to a single slot on the motherboard. The Alpenföhn Brocken ECO Advanced is now available to pre-order at OverclockersUK for £34.99 inc. V.A.T. 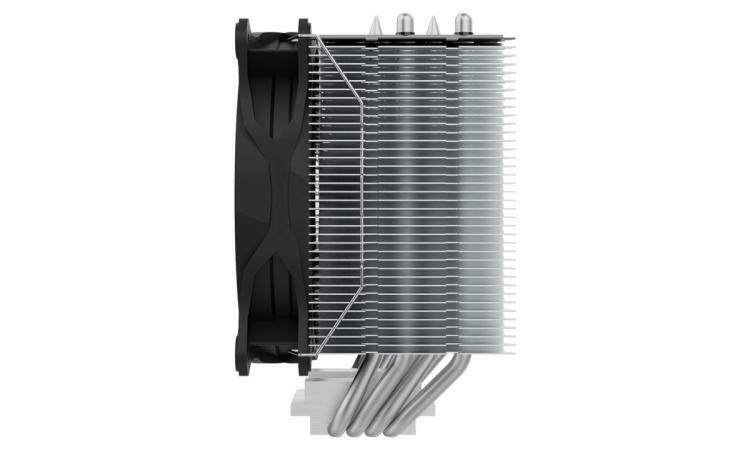 More details on the cooler are available at https://www.alpenfoehn.de/en/products/cpu-cooler/brocken-eco-advanced-en.